Over the weekend Sega of Japan announced that the Sega Ages line of games would be coming back to celebrate the history and classic titles released from the company. Sega of America has confirmed this initiative is making it stateside for the Nintendo Switch. These classic games will be branded under the Sega Ages name and are being developed by M2, who did an amazing job bringing over the 3D Classics line on the 3DS. 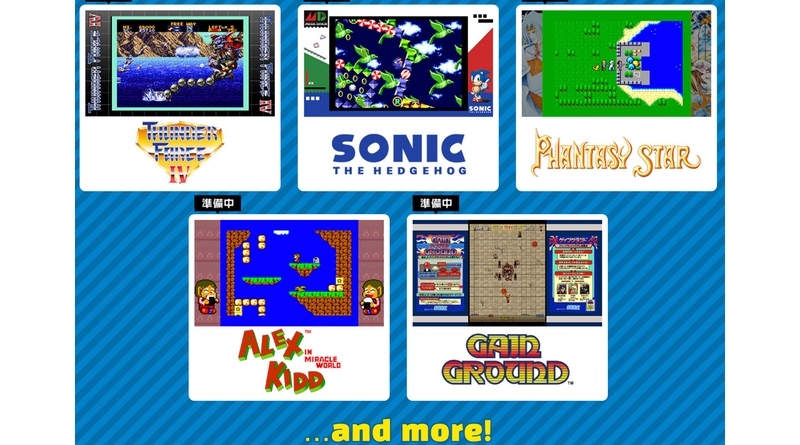 The first five games that will be released on Switch are: Phantasy Star and Alex Kidd in Miracle World for the Master System, Thunder Force IV and Sonic the Hedgehog for the Genesis, and Gain Ground for the arcade. They will start to arrive later this summer. Price has not been announced for the U.S. yet. SEGA of America announced today that SEGA AGES, the original series that brought classic games to modern consoles, is being rebooted for Nintendo Switch™. This series of retro titles will be launching in Japan, North America, and Europe starting in Summer 2018.